Bianca Nicole Murrell, 21, (left) and Mary Helen Brown, 20, are both charged with abandoning a child. 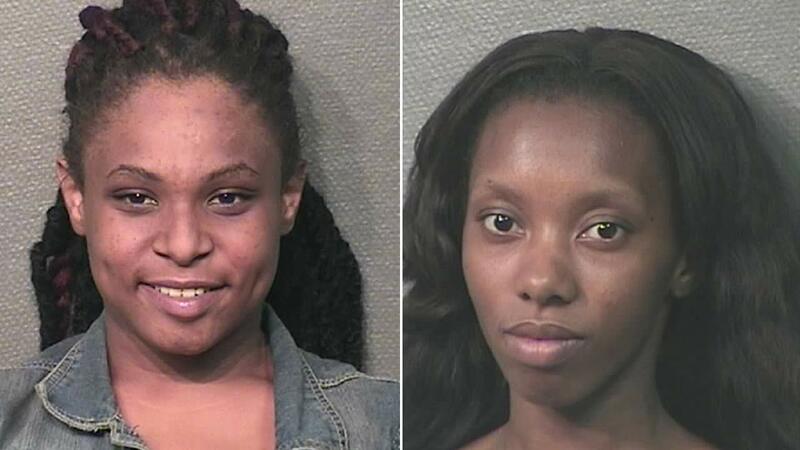 HOUSTON (KTRK) -- Police say two women accused of stealing merchandise from a Walmart took off when employees threatened to call cops, and left two five-year-old children behind. Bianca Nicole Murrell, 21, and Mary Helen Brown, 20, are both charged with abandoning a child. A police spokesperson says the two were shopping at a Walmart when loss prevention employees spotted them opening packages of food for their children, then hiding the wrappers. As they went through the self-checkout lane, employees reportedly saw them putting items in a bag that hadn't been rung up. When the loss prevention employees approached the women and threatened to call police, the pair reportedly took off, leaving a five-year-old boy and girl alone in the store. Murrell and Brown later returned and were taken into custody.